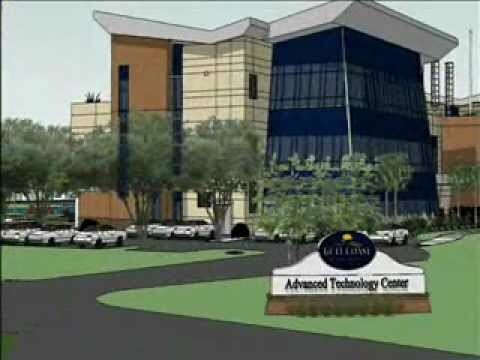 Gulf Coast State College (GCSC) is home to the state-of-the-art Advanced Technology Center (ATC), the most technologically advanced learning facilities in the country. The ATC provides training attuned to emerging workforce needs of the technology, engineering and alternative energy industries. Educational opportunities are offered in fields such as renewable energies, alternative energies, sustainable building design, architecture and engineering, information science, computer integrated manufacturing, e-Learning and culinary arts careers. These programs are designed to increase learning opportunities for students, and to infuse business and entrepreneurship principles into its educational tenets. An Entrepreneurial Development Center, Virtual Incubator and Entrepreneur’s Institute are housed within the ATC, promoting the development of new ideas and providing support for new and existing businesses across Northwest Florida.